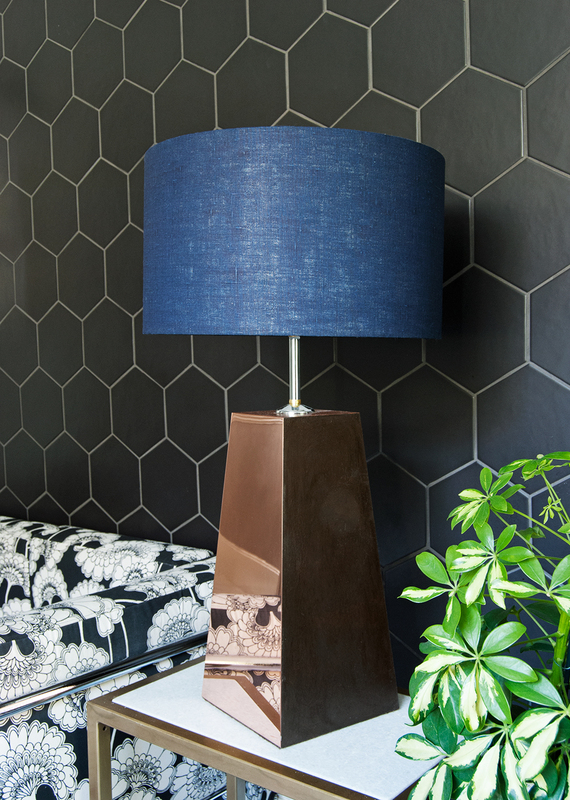 I'm really excited to be sharing a special find with you today - a tweet showed up in my feed a few months back, alerting me to a new(ish) luxury bespoke lamp company called Love&Light, who were having a Pop-Up not far from me in Islington (in North London), so of course, seeing the magic 'LAMP' word, I had to check them out immediately. And I fell in love. 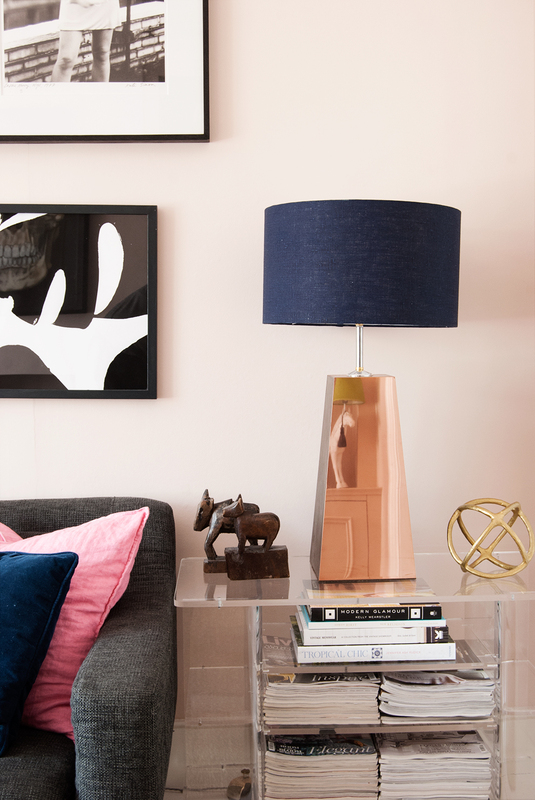 These are show-stopper lamps - the best kind! I took Baxter the shop with me a few days later to see them in the flesh. It was kind of a big mistake taking an excitable four and a half year old boy into a luxury lamp shop as any parent will testify to. If you're not a parent, then imagine taking a puppy into a luxury lamp shop instead. Understand now? And yes, I did just compare my son to a dog. A very cute one though. Anyway, luckily he didn't destroy anything, despite the fact he has this uncanny knack of launching himself several metres across a room at any given time. I don't think even he knows when he's going to do it, so it made me very nervous indeed. Rather fortunately, the lovely Nicky Trimboy, who along with her mother Suzie, designs and makes these most gorgeous lamps, didn't kick us out of her shop. On the contrary, she welcomed us with open arms and I really tested Baxter's patience by staying chatting for quite some time, whilst ogling the gorgeous goods! 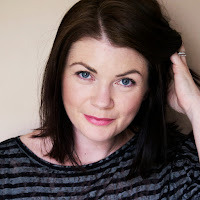 Love&Light launched last year and are a true family business, started after Nicky was made redundant from her job in the city, and consequently completed an Interior Design course at KLC. During the course, Nicky was completely enamoured by the lighting component, and when she saw that Suzie had just had a statue converted to a lamp, the idea to launch Love & Light was born. Nicky and Suzie use craftsmen local to their Wiltshire studio to wire the lamps, make the shades and the wooden bases that they then meticulously decorate, using chalk based and metallic paints, sometimes panels of polished or weathered zinc or copper, and antique wax finishes. 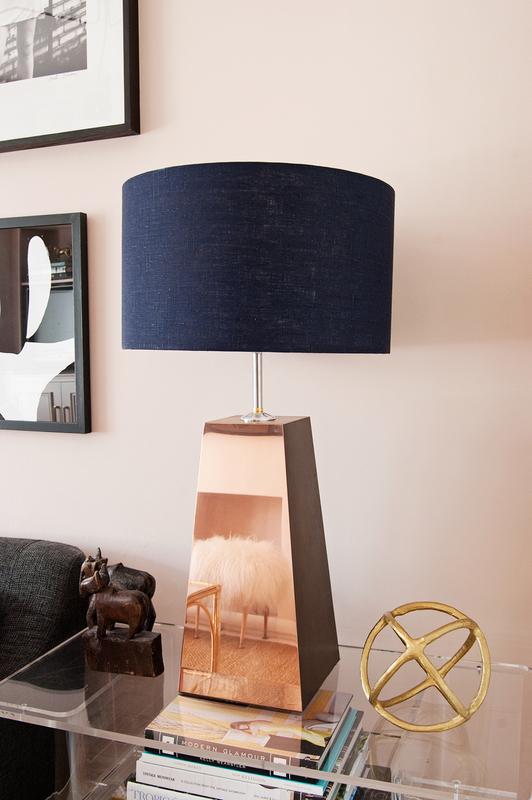 After much deliberation and mind-changing (seriously - a LOT) I chose 'Sheba', a Copper Pyramid Lamp from the Classics range, and it really is a classic - it would work equally well in a traditional interior as it does in my house. 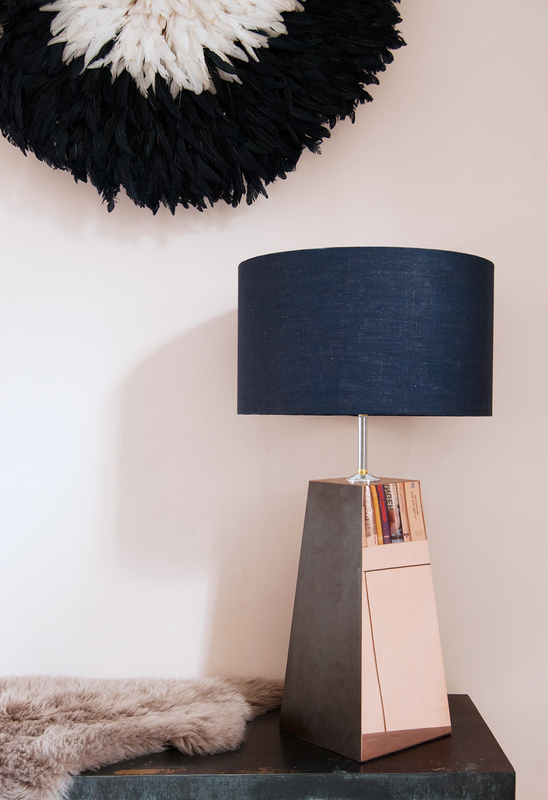 I love the tapered 'Cocoa' base mixed with polished copper and the 'Inky Blue' large linen drum shade. 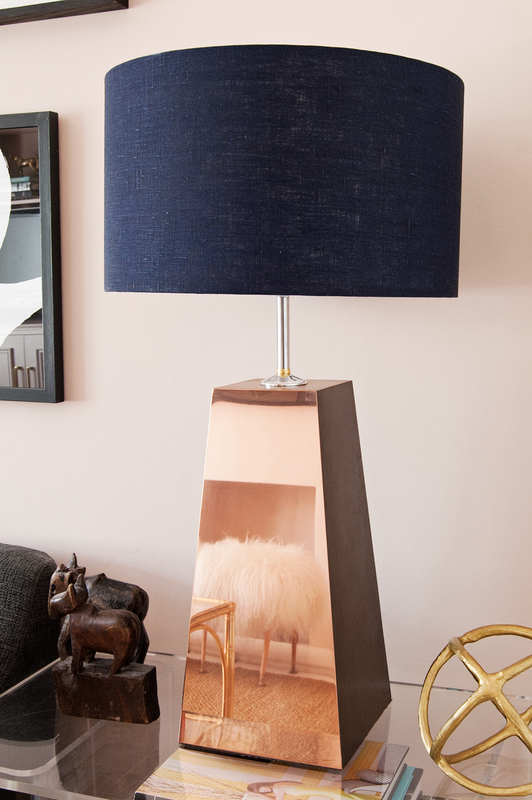 It's total lamp love. 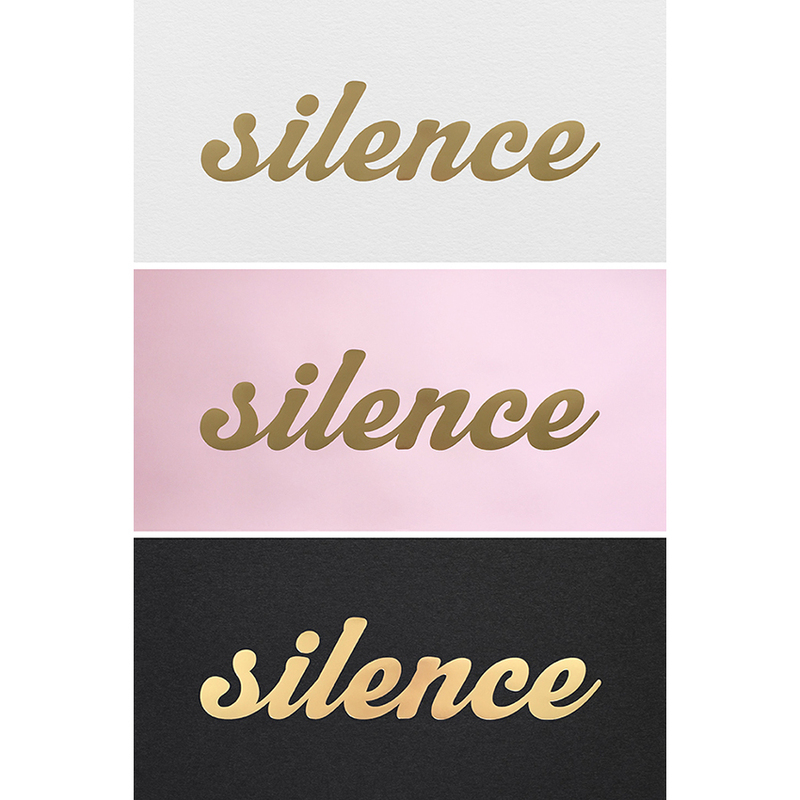 Aside from this collection, I also adore the Harlequin Metals and the New Grande Geometrics. The list goes on basically, they're all so striking. 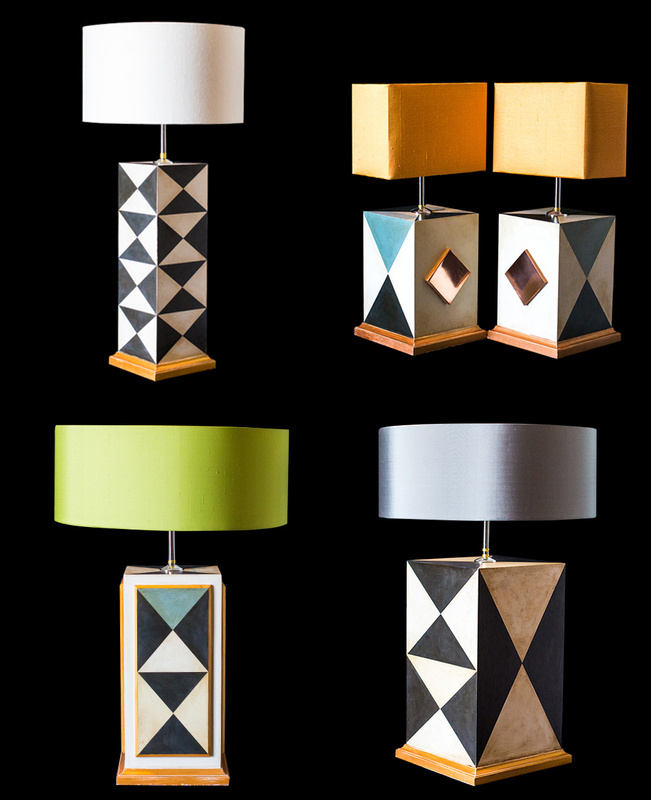 Do go and check out Nicky and Suzie's lamps, and let me know which one is your favourite! You can also find them on 1stdibs and Dering Hall. This is a sponsored post in collaboration with Love&Light.